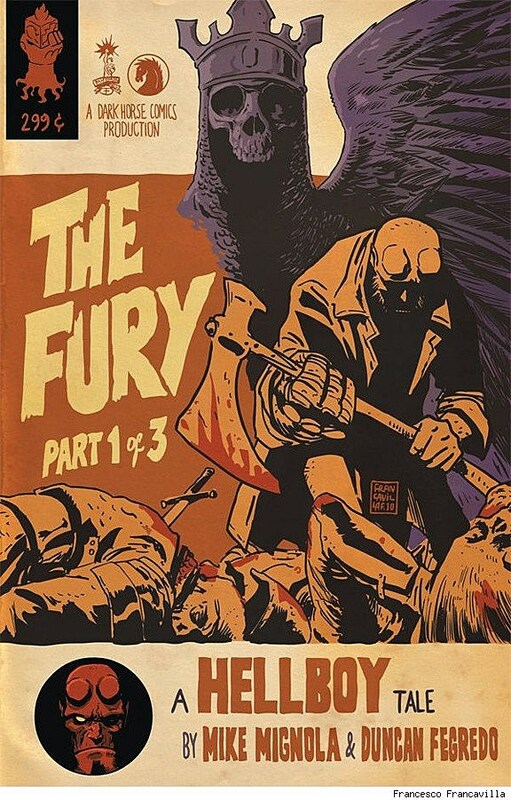 On sale now from Dark Horse is Hellboy: The Fury #1, the first of a three-part story that will conclude the most recent cycle of Hellboy epics by Mike Mignola and Duncan Fegredo, clearing the field for a new chapter in the saga of indie comics' most enduring supernatural adventurer. 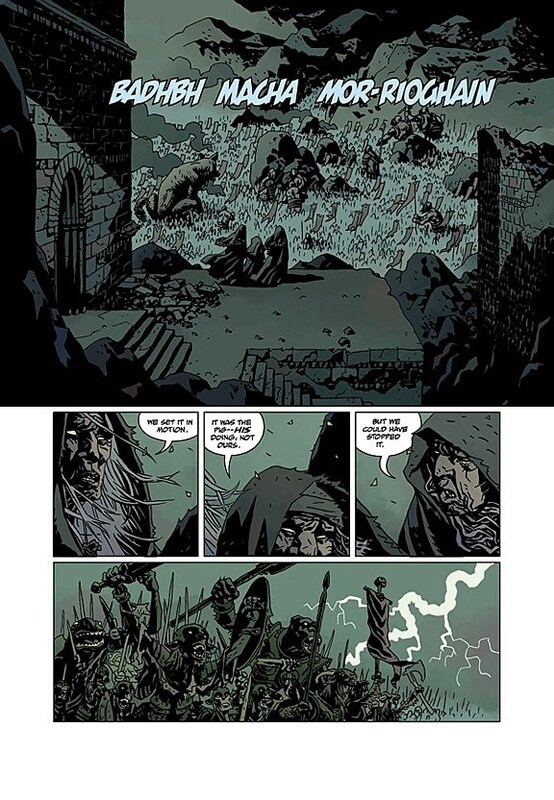 The Fury finds Hellboy finally coming face to face with the horribly evil Queen of Blood, whose true place in the history of Hellboy will intrigue new readers and absolutely shock longtime fans.The Queen of Blood is also called Nimue, but she is better known as the Lady of Lake. 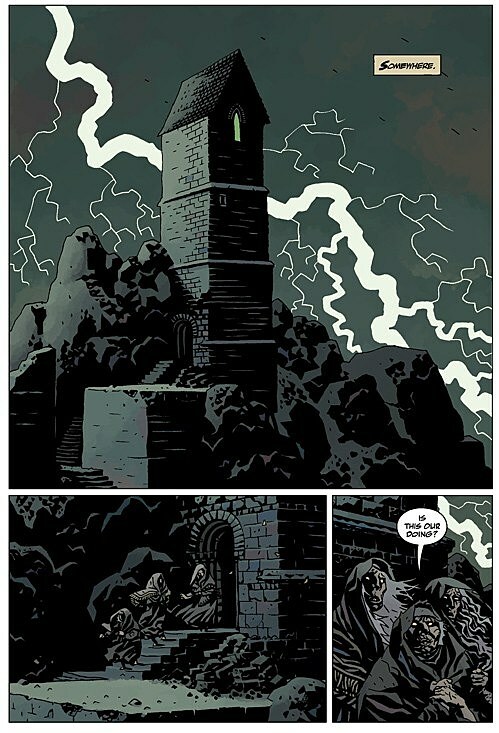 A legendary figure who's appeared throughout literature in many variations (she is the basis of Madame Xanadu in Matt Wagner's excellent Vertigo series), Mignola's version of Nimue is a wicked sorceress who rose to become queen of the Witches of England. Equipped with an army of monsters, Nimue is determined to destroy all life on Earth. 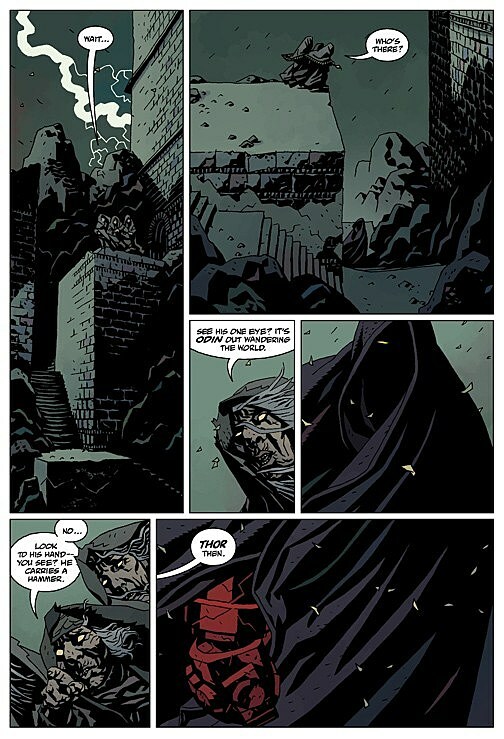 Having recently discovered his blood connection to King Arthur, Hellboy sets out to destroy the Queen of Blood once and for all. 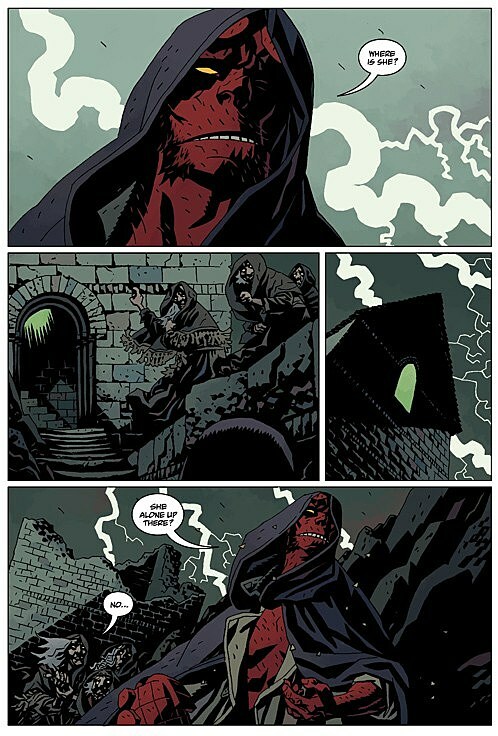 Along the way, something really big happens, and it's something Hellboy fans will want to know right away. 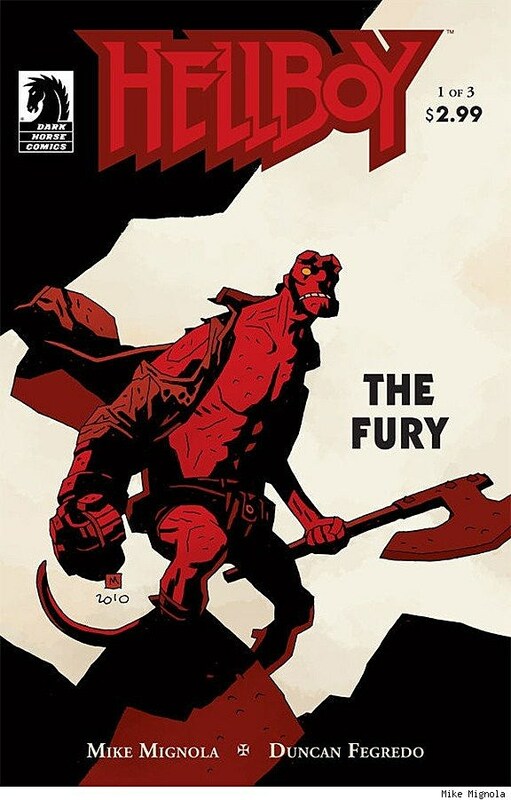 Hellboy: The Fury #1 is on sale now in finer comics stores and can also be purchased online from Things From Another World.